If you are a homeowner and are thinking of making changes to your home, you maybe thinking about how you are going to pay for the things you want done.It's not so bad when it comes to the easier things such as changing the wallpaper or painting and adding simple touches like new curtains to give the room a new look. However if you are looking to do a full rehall of your bathroom or kitchen or are considering getting an extension or conservatory done than you will need to look at your payment options. Renovating your home is ideal if you are planning on staying put and living in your current home long term. 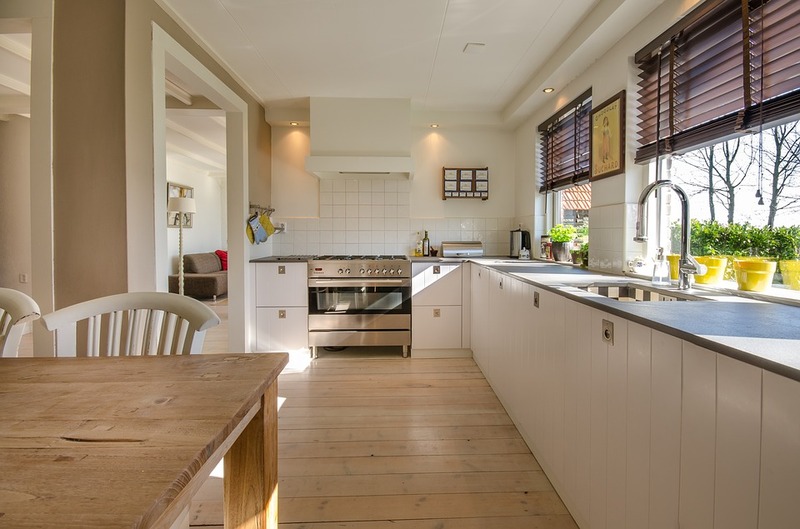 Let's face it moving home is a lot of work not just with packing up but with the costs too.Which is why staying put and renovating your home instead is what lots of people are doing. This is especially true for those hitting retirement age and don't want the stress of moving. If you have been living in your home awhile you may not be able to imagine living anywhere else, after all you have made many memories living there. Staying put doesn't mean that you can't have your dream home. Renovating maybe costly but if you love your home anyway and know the ways you can afford the expensive updates than your current home can be your dream home. My mum has been living in her house for over 30 years now and its had many changes over the years. From getting a new kitchen to doing up the whole bathroom, even the floors have changed and gone from carpet to wooden. Its the house i grew up up in and have so many fond memories made there. We don't currently own our own home yet, so can't rely on it for making improvements when we hit old age. Sunlife have a handy calculator for those of you who own their home to show you how your home has increased in value. If you are lucky to have some money saved up than using some of it is the sensible option. Using savings for home improvements instead of for holidays or a new car is more of an investment. Not only are you making your home a much nicer place to live but can increase the value of your home. Although it can take awhile to save up its a great way to afford the bigger things that need doing in your home. Using a credit card is a great way to pay for your referb.If the work turns out faulty or doesn't get done, for example the building company goes bust you will be able to claim back from your card provider. Remortgaging to a lower rate reduces your interest bill and lowers your monthly repayments. To pay for home improvements, you can remortgage to get a larger loan. The excess can then be used to do up your property.